People make history and are also the product of it. 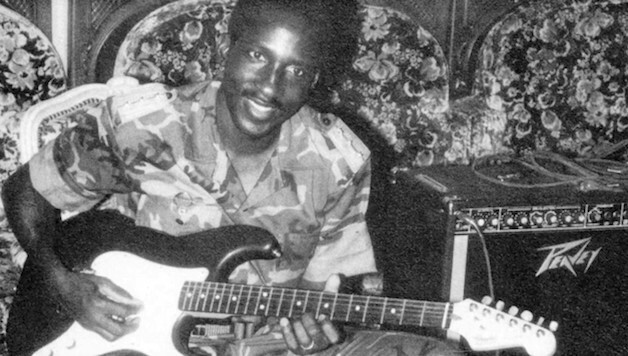 Sankara was the son of a non-commissioned officer of the French colonial armies who fought in World War II and became a nurse in the army. This allowed the young Sankara to benefit from an advanced education, passing his baccalaureate through the military academy, as well as continuing his training as an officer. As in many African countries, a military career was a way for young people to escape misery while not being a force of direct repression of the people. With Blaise Compaoré, he formed a secret organization, the “Communist Officers’ Group.” Sankara was part of the youngest generation that developed after the end of the “French Colonies of Africa” (Colonies françaises d’Afrique or CFA). However, as evidenced by the name of the currency still in circulation today in fifteen countries, the CFA franc symbolizes the economic subjugation of these countries to French imperialism. Decolonization had only been formal and, in reality, the countries remained under the direct supervision of French imperialism, which plundered a piece of the wealth for the profits of the multinationals with the complicity of corrupt local leaders. The great revolutionary movements of the 1960s (Cuba and Algeria) and the 1970s (in particular Madagascar, where he was present at the time of the May 1972 revolution) influenced Sankara. Starting in 1979, Burkina Faso, then called Upper Volta, entered a period of revolutionary ferment. In 1981, Sankara joined the government following the coup of Colonel Zerbo, but he left when it abolished the right to strike. In 1982, a new putsch brought to power Ouédraogo, a military doctor who intended to carry out a social policy. Sankara became Prime Minister in January 1983, but he was expelled from the government in May when he publicly declared that he wanted to break the neo-colonial links between France and Upper Volta. Placed under house arrest, he was released following mass demonstrations organized by the left and the unions, and by the insurrection of the Pô barracks, which freed Sankara and put him in power at the head of the National Revolutionary Council (Conseil national révolutionnaire or CNR). Sankara and his followers tried to extend the revolution, both within the country and on the international stage. On the one hand, revolutionary defense committees were created, which sent delegates to the CNR. They are responsible for the implementation of the policy decided by the CNR. The aim is to democratize the country, break the old administration (resulting from colonization), and to reforge a transparent one, to integrate the army into the population notably by making it participate in economic activity. The new power also attacked the prerogatives of the clan leaders and proclaimed: “down with the man who beats his wife.” Education was at the heart of the project, with access to school for all and especially for girls. A fierce struggle against corruption, a terrible evil that destroys Africa and the consciences and serves imperialism, was waged. In August 1984, the country shed its colonial name and became Burkina Faso. Sankara looked for international support, from Cuba, but also from the USSR. The leaders of the latter, who often supported revolutions very slowly, each time seeking to moderate and limit, no longer had any desire to embody the “camp of socialism.” As for neighboring countries, particularly Côte d’Ivoire and Mali, their leaders (Felix Houphouët-Boigny and Moussa Traoré respectively) had long abandoned their progressive ideas and took a dim view of the Burkinabé example, which inspired the youth of their own countries. France could hardly be worried less. French Socialist Party President François Mitterand declared that “the ardor of Sankara’s youth pushed him too far.” At the same time, Mitterand had no problem welcoming the South African Prime Minister Pieter Botha while Nelson Mandela was still languishing in prison and the demonstrations of blacks were savagely repressed by the police of apartheid. The French left, alongside a Socialist Party that has always been in favor of neocolonialism, very loosely supported Sankara and his policies. However, his fight was filled with symbolism, including the iconic measure that consisted of replacing the cars of ministers, Mercedes Benz, with the simple Renault 5, without a chauffeur. Likewise, members of the government are invited to participate in agricultural work. In 1986, the UN recognized that Burkina Faso managed in less than four years to achieve food self-sufficiency. In the 1980s, the increasing economic crisis made the external debt unbearable for many countries, while the IMF and World Bank became more and more demanding. Sankara then tried to build a front of African countries refusing to pay the debt. His famous speech in Addis Ababa, particularly powerful, recalled that it is the countries that had enslaved Africa that now own Africa’s debt: “If we do not pay the debt, the creditors will not die, but if we pay the debt, we will die.” The risk was real that Burkina Faso could inspire an anti-imperialist struggle. Sankara’s old companion, Blaise Compaoré, began talking about getting rid of Captain Sankara. On the evening of October 14, 1987, according to his wife Mariam, he watched a documentary on Che and another on Lenin. On October 15, while holding a cabinet of restricted ministers, the presidential palace was encircled, and Sankara was shot as he put his hands in the air, which was also the fate of twelve of those present. They were buried at night in an isolated place, without anyone knowing if Sankara’s body was really there. The medical certificate marked the cause: “natural death.” Compaoré took full powers and was welcomed as a friend by France and the President of Côte d’Ivoire. The country’s weaknesses were numerous, but there was also a lack of understanding that the army could not be the central axis of the revolution. Sankara tried to use the army for revolutionary purposes while also trying to put it under the control of the revolution. But ultimately it remained a bureaucratic and conservative body. The Committees for the Defense of the Revolution (Comités de Défense de la Revolution or CDR) could not serve as both a revolutionary party and revolutionary organization committees. The attempt to merge all the left-wing forces in the country into the CDR was erroneous because it failed to account for different rhythms in the revolution or allow the necessary space for debate among revolutionaries. The CDR should have been extended to larger layers of the working population, becoming bodies in which the new society would have started to organize. At the same time a revolutionary socialist party could have been launched independently of, but participating in, the CDR, using the latter as the broader developing bodies of working class control. However, it is indeed the servants of imperialism, in the first place Compaoré, and imperialism itself who are guilty. The revolution won unprecedented advances, the country became a model, and Sankara a banner for revolutionary African youth. If corrupt individuals like Compaoré organized the assassination (after which he remained in power for 27 years, until the revolution of 2014 ousted him and he settled in Côte d’Ivoire), the hand of French imperialism was behind it. While current French President Emmanuel Macron can talk about “turning the page of colonialism,” his recent visit to Burkina Faso shows the opposite, joking about how the president of Burkina Faso “left to change the air conditioner?” Would he make the same joke about a European head of state? The whole African policy of the French State consists in plundering the resources of the countries, while putting in place increasingly restrictive policies on migrants, many of whom were slaves in Libya (which all governments know, but let be). When Sankara died, there was unexpected demonstrations of mourning in many African countries, beyond just Burkina Faso. Sankara must remain a source of inspiration and his struggle for socialism and an Africa free of neocolonialism shows that the continent is not condemned to have only corrupt presidents and agents of imperialism. That also shows our own duty to build a revolutionary international in Europe as well as in Africa, so that the next revolutionary situations on the continent will receive all the support they will need.